The city of Fernandina Beach, Florida, (population 12,000) is located on Amelia Island at the northeast tip of Florida. The island received the nickname of “The Isle of Eight Flags” since it has been under the flag of eight different nations. The earliest residents included the Native American Timucuans, followed by early French and Spanish explorers, and Spanish and English settlers. The earliest European contact with the Timucuans occurred in 1562 when the Huguenots claimed the island for France. The island became part of the United States after being ceded by Spain in 1821. During the late 19th century, the influx of vacationers from the North led to the construction of elaborate homes and a United States Customs House. Around 1900, immigrant fishermen reestablished and improved the area’s shrimp industry. Fernandina Beach is considered to be the birthplace of the modern shrimp-fishing industry, after the introduction of the first powered shrimp boat. The non-profit organization, Isle of Eight Flags Shrimp Festival, Inc., and the City of Fernandina Beach host a three-day annual event. The festival’s origins date to 1964, when the Shrimp Boat Races began along the riverfront as a friendly competition amongst shrimp boat operators. The festival includes a community parade, an antique market, numerous contests, a judged art show, and the availability of fresh shrimp. The event occurs along the city’s waterfront and in the downtown Fernandina Beach Historic District, listed on the National Register of Historic Places. 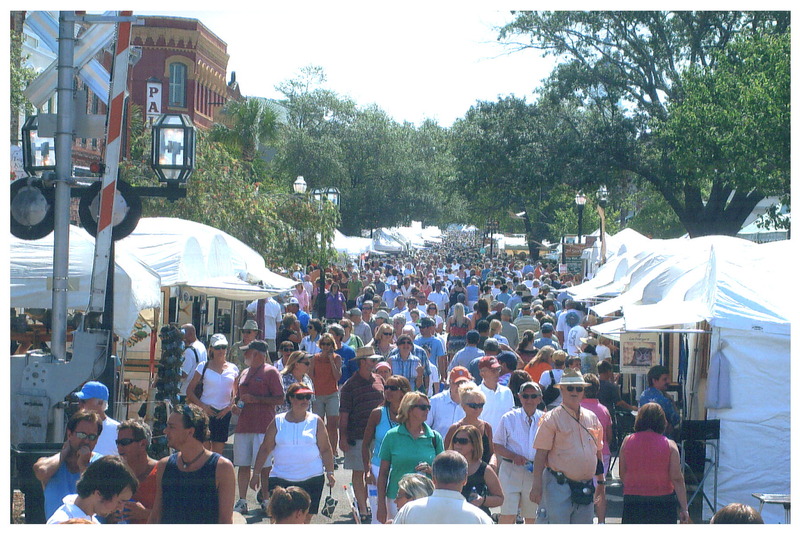 The festival attracts more than 135,000 visitors, showcasing the city’s heritage to a large audience. A 2008 survey conducted by the festival determined the annual economic impact of the festival is more than $16 million. The Amelia Island Museum of History features collections and exhibits that span the entire history of the island, from the Native American, Spanish, French, and Victorian periods, to the present. The museum is housed in the Old Nassau County Jail. Exhibits look at the history of Nassau County, the Timucuan Village, the history of historic preservation in Nassau County, and artifacts and stories from the Spanish Mission period of Amelia Island. A three-year project by the TV Productions class at Fernandina Beach High School created the film “Amelia Island: Isle of 8 Flags.” The documentary film chronicles the history of Amelia Island and its ability to claim eight different flags on the island. The film received “Best of the Fest” at the inaugural Amelia Island Film Festival in 2008.